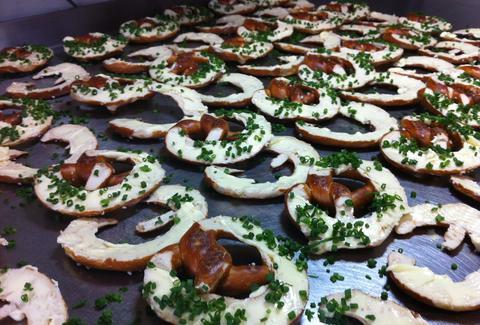 As their name explains, this place takes pretzel baking to a co.-level regime, meaning you can find tons and tons of variety here, including pretzels covered with toppings like sesame, cheese, poppy seed, and pumpkin seed. 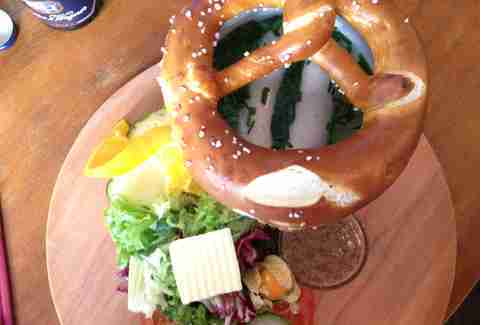 For variety and chewy flavor, it’s the best option in the city, and they also have a pretty great menu of Bavarian breakfast and lunch options. 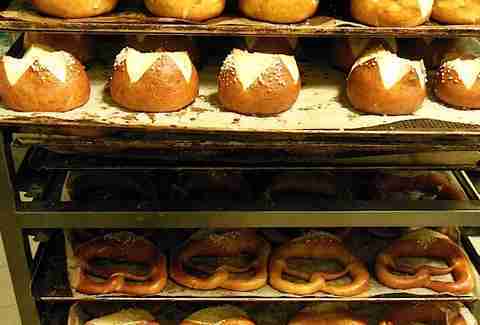 Alpenstück was voted one of the best bakeries in Germany by the country’s top culinary mag, Der Feinschmecker, and the Mitte bakery is easily one of Berlin’s most popular stops for Bavarian dough-treats. Along with their absolutely delicious mix of sweet tarts, charcuterie boards, and artisan breads, you’ll find their plain-but-classic knotted pretzels and rolls, and they're pretty much perfect. This Kreuzberg café offers all sorts of pretzely goodness including p-bread sammies like tomato & mozz; pretzels topped w/ butter-and-herb spread; and chocolate-covered numbers -- also, as a bonus, in the PM hours the coffee shop-style café hosts live music performances too. If you can’t go to Bavaria, this place is the next best thing. One of Munich’s oldest bakeries with several Berlin outposts, Hofpfisterei does everything from kaiser brotchen to dark rye breads in the Old World style, and of course tons of Bavarian 'zels. 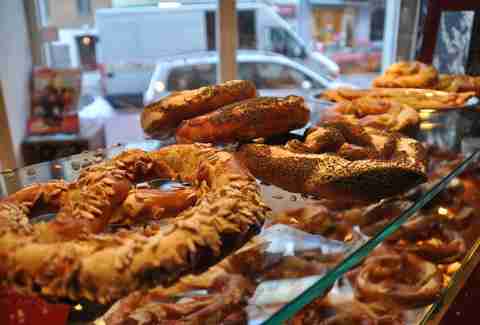 Inside their small Mitte shop, you’ll find soft classic and seeded pretzels, with just the right amount of salty goodness. 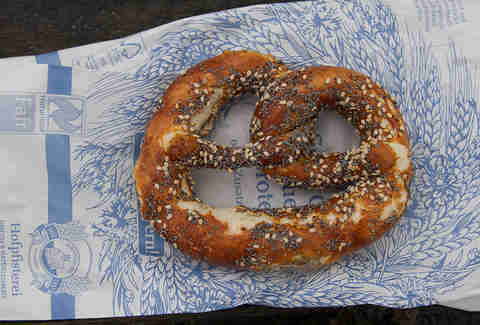 Also look out for salzstangerl, a pretzel-like not-at-all-phallic rod of dough covered in salt and seeds. Although the specialty at this award-winning bakery are the seriously delicious cinnamon rolls, may we suggest the laugencroissant -- a "pretzel croissant" in German speak. We're saying it. F**k the cronut. Try these. They are delicious -- dipped into a lye bath which gives a nice tangy crust -- and once you try one you’ll never go back. We warned you. 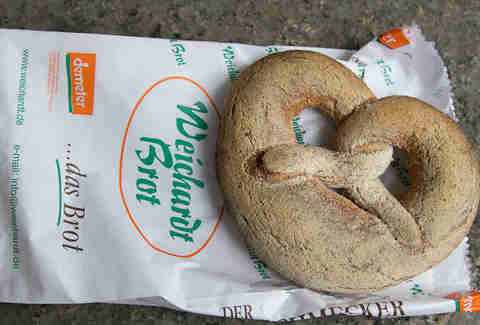 Luckily, you can find them in many Berlin (and German) bakeries, although Zeit für Brot’s are particularly finger-lickin’. 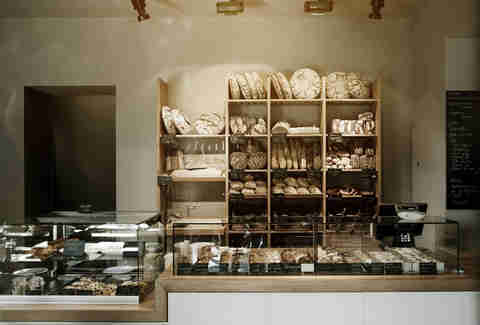 As Berlin’s first organic bakery, Weichardt is a must-stop for any yeast-fiend. Although their wholegrain pretzel is more hearty and bready than the definitive salty Bavarian brezel, it’s worth a trek to West Berlin to see the 37yr-old operation up close if you are a real bread devotee.